I am obsessed with old books, old clothes, and boy, am I ever obsessed with old movies. (I met my first husband at a silent movie double feature, so there.) 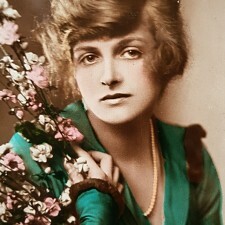 One of my favourite stars ever is Gladys Cooper. 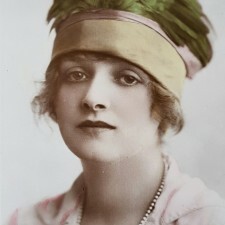 She is best known as a renowned character actress in the 1940s at Warner Brothers. She starred opposite Bette Davis in Now Voyager (as the oppressive mother) and in Separate Tables opposite Deborah Kerr (as the oppressive mother). 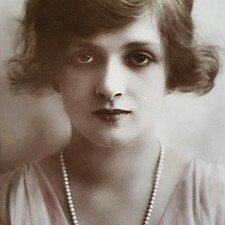 She was also in Alfred Hitchcock’s Rebecca as the really sweet sister to Laurence Olivier. What is less well known is that before all that she was a Great Beauty, when such a thing was a career. 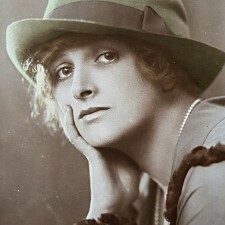 Yesterday I hit the motherlode of Gladys Cooper postcards from her babe period. If you would like to use any of these for crafts or art journals, just right click on an image and click “Control C” then go to Word or Paint or whatever program you use for images and press “Control V.” If anyone would like a larger resolution, please contact me directly and I can send you a larger image. Enjoy! If you love old moves, be sure and check out “You Must Remember This.” It is a fascinating website and a wow of a podcast with stories of behind-the-scenes of classic Hollywood’s heyday.